Call us today for a roof inspection, or fill out our estimate request form online. After the inspection, we will provide a detailed and written estimate. A roof inspection is always the first step in the process, because you just never know the full story until an expert gets up there and fully analyzes the condition of the roof and structure. What you see from down on the ground certainly might not tell you the full story. 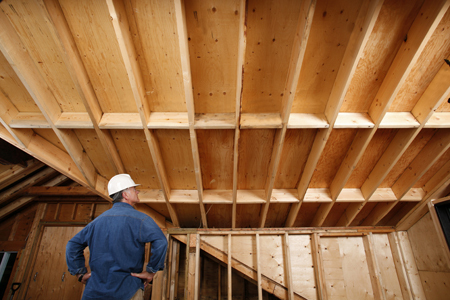 Protect what is probably your biggest investment with a roof inspection. We inspected a roof in Palm Beach County recently for a homeowner who was just trying to maintain an occasional home maintenance schedule. Our inspection uncovered the fact that his roof was leaking and he didn’t even know it. The leaking could have lead to all types of other problems hidden behind his walls. Some of those problems such as mold can cause sickness and require large and expensive repairs. By exposing the issues with his roof, we saved him thousands of dollars, lots of aggravation, and his health! Don’t delay, call us today for a roof inspection and we will plan it to fit your schedule. We are very flexible in meeting with you at your home. We’ll call ahead and let you know that we’re on our way. We regularly provide roofing inspections on homes in Broward, West Palm Beach, and Miami-Dade Counties.